Water Well Oiler that saves money! Return on investment in less than one year. 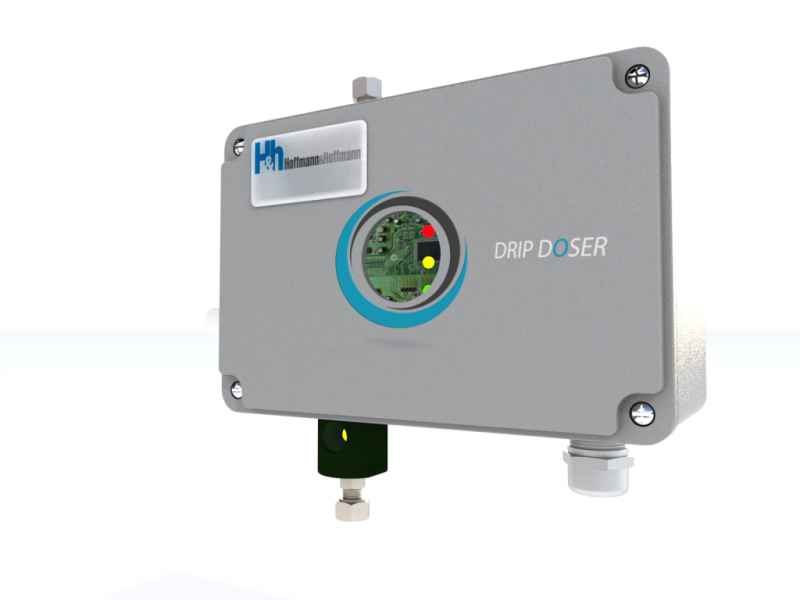 Dripdoser is a gravity-based oiler for Vertical Turbine Pump that will save you thousands of dollars and costly down time. Reduces labor cost – checking oil levels and adjusting drip rate. Reduces oil consumption and prevents well contamination. Maintains constant oil drip rate. Detects loss of oil supply. Detects clogged or pinched delivery line. Telemetry compatible remote control and monitoring. Operates under extreme weather conditions. Low price – outlay quickly repaid.